Covers up to 250 Square Feet! Allergy Relief--Reduce energy and sleep-robbing airborne dust, dander, smoke and pollen up to 99%. Odor Control--Quickly trade odors, smoke smell and stale air for fresh, healthy air. Reduces odors and VOCs up to 99%. Cleans Air & Surfaces--Greatly reduces mold, viruses, and bacteria in the air and on surfaces up to 99%. Stop the flu virus this season! Maintenance Free—well-made with high-quality components and no filters for virtually maintenance free operation. **30 Day Money Back Guarantee: 30 days from date of purchase, no restocking fees. Customer pays shipping back to Air Oasis. Enjoy a Real, Clean Air Oasis, Wherever You Go! Small rooms and vehicles can actually have some of the highest air pollutant concentrations. This is because there is less space for dust, mold spores, germs, smoke and odors to spread out which means more pollutants per square foot. Most compact small room air purifiers for sale, however, have low fan outputs and rely on very small HEPA filters, thin carbon-impregnated foam sheets with very little carbon and typically don’t remove the pollutants effectively or fast enough to keep you from breathing them. The better, more modern way to get top quality clean air in small rooms is to use a combination of ion technologies that eliminate the pollutants without using filters, such as the Air Oasis Mobile Air Purifier. The Air Oasis Mobile Air Purifier actually does just that—it creates an air oasis or place of relief by using proven germicidal UVC light, photocatalytic oxidation (PCO) and advanced hydrated PCO with needlepoint ion technology (NIT) to release several types of natural ions (not ozone) into the air that disintegrate VOC’s, odors, germs, viruses and mold spores, while causing larger particles to fall to the ground, out of the breathing zone. The result is air that is cleaner than most HEPA filters can provide and chemical and odor reduction you’d expect from an expensive carbon filter plus surface disinfection—all with no filters to replace. That means allergy and asthma relief, odor control, mold control and protection from germs in one small affordable air purifier. Need to see some test results and certifications? No problem--here you go! Sampling of test results: all reductions up to 99% H1N1: 99% Legionella pneumophila: 99% Aeroallergens: 99% Mold: 99% Bacteria: 99% Viruses: 99% Smoke: 99% Formaldehyde: 99% Microflora & Propagules Reduction Study: Almost complete reduction of microflora and propagules at 5 distances. The Mobile Purifier exceeds the highest standards of effectiveness, safety, and quality. TÜV SÜD is a world leader in product testing and certification. TÜV SÜD provides testing to international standards and directives. Their mark is an endorsement of effectiveness and safety. CARB-compliant: CARB is the California Air Resources Board, which is responsible for air quality within California. The Air Oasis Mobile Air Purifier is perfect for bedrooms, offices, cubicles, closets, cars, trucks, boats and more, cleaning the air, sanitizing surfaces and preventing allergy and allergy attacks as well as reducing the chances of airborne germs causing illness—especially important in vehicles and during travel where some of the most polluted air is often encountered. Order your Air Oasis Mobile Air Purifier here at a discount online sales price and see for yourself what fresh, clean air really feels like! 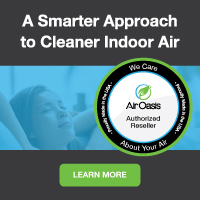 When you buy your money and energy saving Air Oasis air filtration products from us, you get a brand new unit, at the best possible price, with Air Oasis's top-rated warranty. Our innovative partnership with Air Oasis allows us to ship directly from their warehouse, which cuts out the middle man and eliminates the high operating costs of traditional brick and mortar big box stores. These savings get passed directly to you, allowing us to offer brand new allergy and asthma symptom-eliminating Air Oasis air purifiers and filters at the best possible everyday cheap discount online sales prices. And buying from us is definitely better than direct. If you buy direct, you'll have to pay shipping. Buying from us, however, you always get fast free ground shipping as our thanks to you for shopping with us.